MERCEDES-BENZ CERTIFIED PRE-OWNED Extended Warranty PLUS Special APR Starting at 1.99%! GL 63 AMG in Black over designo Auburn Brown Nappa Leather with designo Black Piano Lacquer Wood Trim. 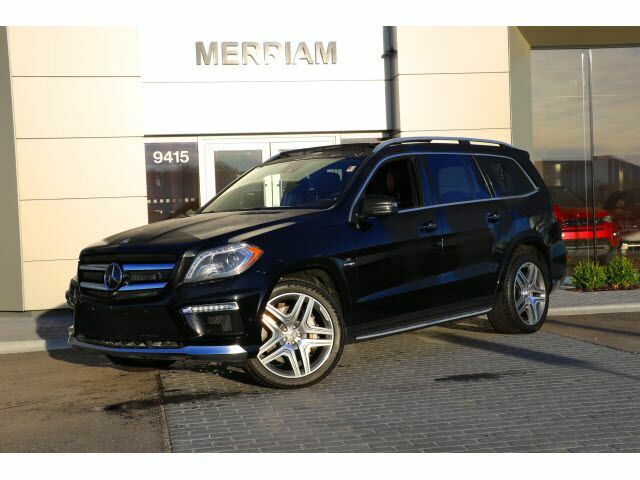 1-Owner, clean Carfax, very Clean Inside and Out and Loaded with features: 2nd Row Sunshades, Trailer Hitch, 21 inch AMG Wheels, Power Easy-Entry, Power Liftgate, KEYLESS-GO, Heated Front and 2nd Row Seats, harman/kardon LOGIC7 Surround Sound System, Navigation, Surround View Camera, Bi-Xenon Headlamps with Active Curve Illumination, Adapative Highbeam Assist, Driver Assistance Package, Panorama Sunroof, Ventilated Front Seats, and Much More! Brian Stacy 1-855-979-0255 to Test Drive Today! Aristocrat Motors, Kansas City's premier luxury dealer strives for the highest levels of customer service. Voted "Best in Business" by the readers of Ingram's magazine, our customers are our number one priority.